hungry000 Interesting points. Thing in the Ice Flip is definitely a problem for this deck. Trickbind ing Thing only stalls to their next instant or sorcery and and Trickbind ing Phoenix only works on 1 Phoenix at a time. But being able to stall like that is a real tempo swing. Post-board my Rest in Peace is nice, but not enough. I don't think either Trickbind or Squelch is where I want to be in this meta. 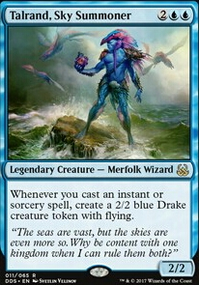 UW Control is very low in metagame share. Tron is lower than before and I have other ways to fight them. I've been toying with the idea of Mishra's Bauble . Pumping Tarmogoyf to 5/6 vs Gurmag Angler or Lightning Axe is nice. It's also a way to 'scry' for Delver of Secrets Flip. I'll try swapping out Squelch and see what happens. I think Trickbind is better than Squelch right now. The card draw + land destruction is a nice tempo swing against fair decks, but the most played deck atm is Izzet Phoenix, so it's good to have the ability to counter an Arclight Phoenix trigger and especially a Thing in the Ice Flip flip since you're pretty creature-heavy. It's only a temporary solution for both of those cards, but it's nice to have the option. Ok hkhssweiss, where to begin! Everything except Mindbreak Trap has been tried and taken out. 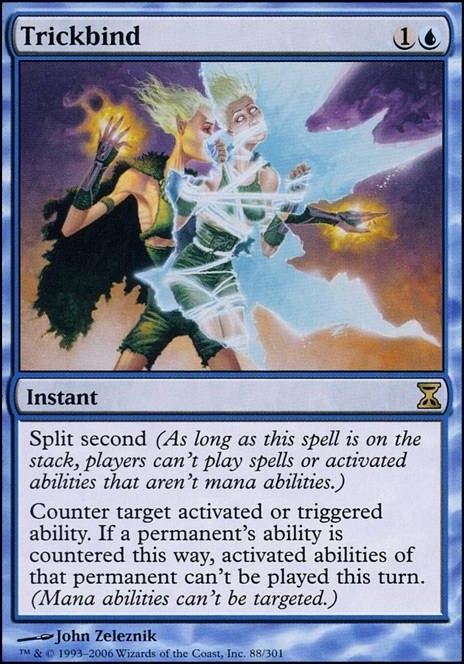 Much of it is too slow, again no need for things like Trickbind to counter the Stasis trigger, and there's not a lot of things I would spend 2 mana on to counter, I have counterspells for scary stuff. Mindbreak Trap could be a decent answer to counter wars, and Storm. I'll slot it in somewhere. These are some cards to consider for running Stasis lock. I would highly recommend Forsaken City as you can literally tap out and continue to pay for Stasis. Teferi also helps with this strategy as it untaps your permanents while Stasis lock is enabled. 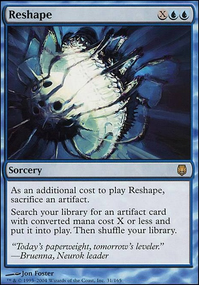 Snapcaster is there for redundancy spells to reuse. 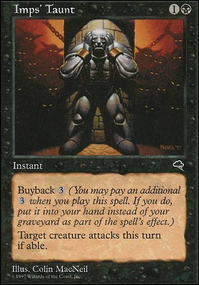 Overburden is great since you are playing creature light and really hates on creature heavy decks. JTMS is good for the manipulation as well as card advantage, not to mention to bounce the abundance of effects and can be another line to win the game as well. The other assort spells can also be great as you want good cheap efficient spells or free cast spells. 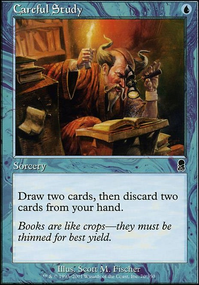 You can also consider Arcane Laboratory as well to stall the game longer and keep a lock on the board. Something a little narrower, but nobody ever seems to see coming is Faerie Macabre .. 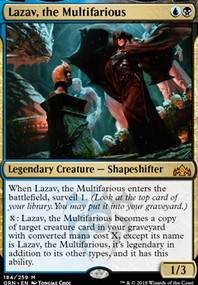 Personally, I run a single Grafdigger's Cage & a playset of Faerie Macabre s in the sideboard of my Legacy Eldrazi deck.. While Modern is not the same as Legacy, what a Reanimator player once told me at an IQ a couple years back is still valid; Artifact & Enchantment based GY-hate are expected & planned for accordingly in their own sideboards, but none of them know how to readily deal with Faerie Macabre because they don’t see anything (they’ll think the coast is clear to freely combo off) until it’s too late.. Yes, it can be responded to like anything else, but there’s no way to otherwise counter it in Modern outside of Trickbind & Disallow (Legacy also has Stifle ), and that’s it.. I see you have managed to get it down to the 100 that you need. Here’s a few card ideas to get mass amounts of cards into your yard and ways to protect the yard. Traumatize yourself to fill your yard. Hermit Druid to completely fill your yard since I see you aren’t running any basics. Disallow and a few more I’m gonna list off will protect you from the bog. Your Glen Elendra Archmage will stop all other yard hate. Speaking of Glen, here’s a way to use her more than once per turn. Melira, Sylvok Outcast will turn Glen into an infinite Negate so you can counter any non creature spell you don’t like, not just graveyard hate.